Ford revealed today the all-new Police Interceptor Utility, which happens to be based on the next-generation 2020 Explorer. 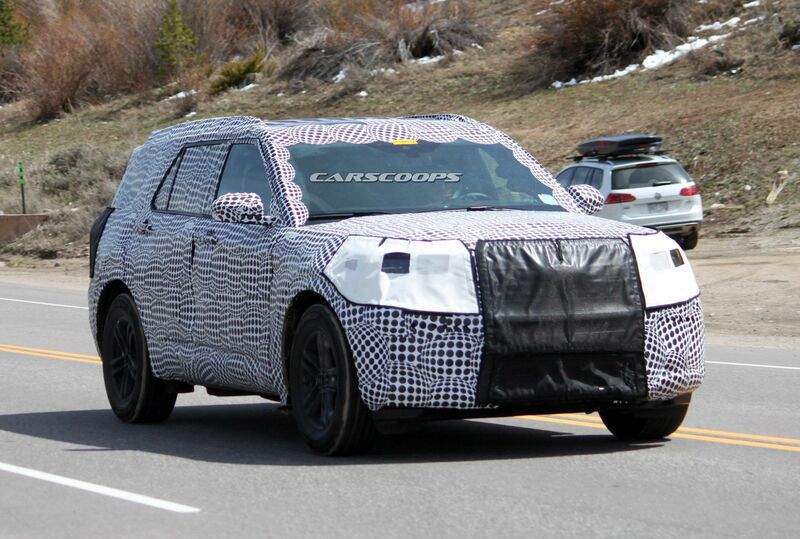 Ford names it the 2020 Police Interceptor, but if you look pass the lights and decals, you can easily spot the new Explorer that rides on a new platform. 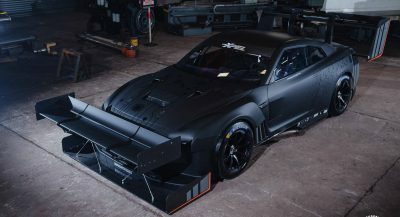 It’s expected to arrive next year as a 2020 model featuring a longitudinal engine driving the rear wheels, with the option of all-wheel drive. Available powertrains will likely include 2.3-liter turbo four, a 2.7-liter twin-turbo V6 and a 3.5-liter twin-turbo V6 with around 400 horsepower for the newly developed ST performance variant. 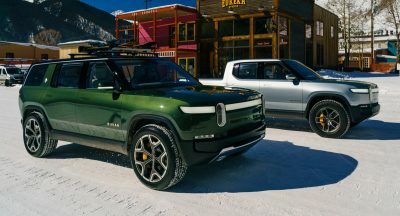 The pursuit version of the 2020 Explorer aims to offer improved performance and lower fuel costs thanks to its hybrid powertrain. 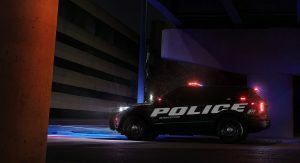 The new Ford Police Interceptor Utility is actually the industry’s first pursuit-rated hybrid SUV, with Ford claiming an estimated saving of $3,200 per vehicle on a yearly basis when compared to today’s non-hybrid model. Ford estimates that the new Police Interceptor Utility will get a projected EPA rating of at least 24 mpg combined, representing a 40 percent improvement over the current 3.7-liter V6. Fuel savings are also expected to come from reduced engine idling time. Law-enforcement officers will also get better acceleration and a higher top speed with the new hybrid Ford Police Interceptor Utility. 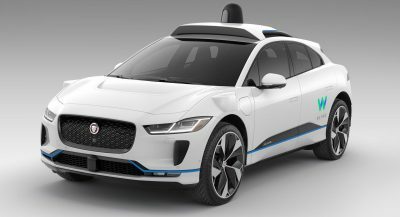 The lithium-ion battery pack is capable of powering the vehicle’s demanding systems, such as lights, computers, radios and other equipment. Ford says that the hybrid powertrain has been calibrated specifically for law enforcement’s unique duty cycle and that it can automatically switch to maximum performance when needed. The new hybrid Police Interceptor Utility will come with a two-year complimentary Ford Telematics service as standard. 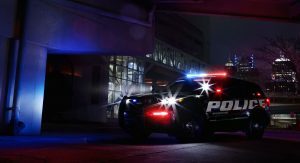 “With Ford Telematics, we’re helping our police customers unlock the data from their vehicles to provide them with more effective ways to manage their fleets and improve operations,” said Stephen Tyler, Ford Police Brand Marketing Manager. In addition the all-new Police Perimeter Alert system, offered as an option, can monitor approximately 270-degrees of movement outside the vehicle and analyze motion to determine potentially threatening behavior. When such behavior is detected, the vehicle sounds a chime, rolls up the windows and locks the doors. I was just typing that lol, you can still see that they want to hide it a bit but you can see a lot of its shape and proportions. American Gov got to put more money into this. That’s not how a free society works Raul. Taxpayers are not supposed to “invest” in product, hence the resentment against companies like Tesla. What you are describing is a Statist form of government. Yes, let’s continue to make vehicles heavier and more complex for grueling work. That will save money. Better yet, let’s add lithium batteries to add to the accident excitement factor. Las Vegas odds makers will be taking bets on the first explosions. Yet another pair of headlights to memorize in the rearview mirror. 24mpg combined is a very very good rating for a suv this size. youre reading too into things. Yeah, maybe… Hopefully the new Explorer is a big hit. 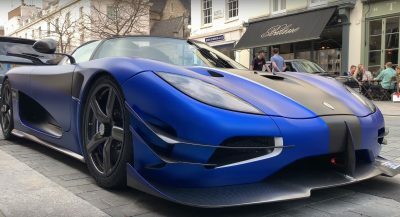 Odd 400 HP is the current output of the 3.0 Eco-boost?? Why would they derate the 3.5….